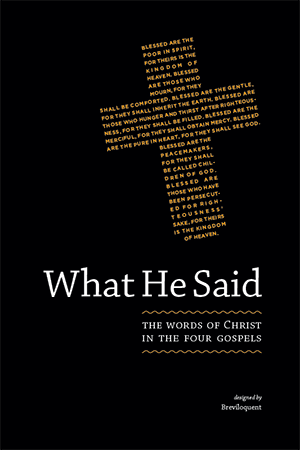 Single copies of What He Said can be purchased exclusively through our e-store or from Amazon (eligible for free Super Saver Shipping on orders over $25). The book is not yet available in traditional retail stores. Looking for a fresh, exciting tool for your Bible-study group or religious education program? Request a sample copy of What He Said using the form below and see for yourself how the book’s unique layout and design can create a more direct path to the teachings of Christ.